Elvis's career began to take off in 1955 when he was picked up by the shady Dutch-born promoter Colonel' Tom Parker, who secured a major recording deal. 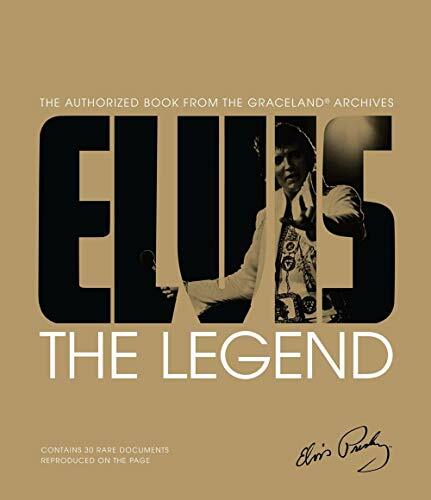 The contract sent to Elvis's parents (as the singer's guardians) to authorize Parker as manager is one of the items of memorabilia reproduced in this celebration of Elvis's career, which includes many concert and promotional photographs, film stills and posters as well as private snaps and personal documents. Gillian G. Gaar is a popular music journalist and author who has written and contributed to many books (the highly acclaimed Return of the King: Elvis Presley's Great Comeback, The Rough Guide to Nirvana, Goldmine: The Beatles Digest, She's A Rebel: The History of Women in Rock &amp; Roll and more), countless articles for a wide variety of newspapers and magazines (Rolling Stone, Goldmine, Q, Classic Rock, Record Collector and many more, websites (allmusic.com, Examiner.com, SonicNet etc.) and a variety of official liner notes (for Heart, Laurie Anderson, Nirvana, Judy Collins, Pat Benatar etc.). She lives in Seattle, WA.